What is a Photo-Rich Location? 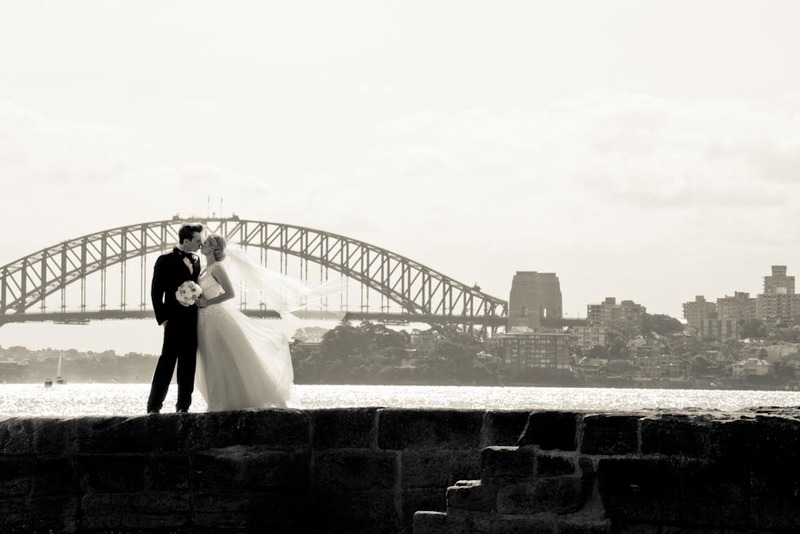 Luckily for us, Sydney is a beautiful city with plenty of inspiring locations for your wedding photography. The best places are what we call ‘photo rich’ locations which provide a mix of angles, colours, textures and moods. Photographers with a good eye have the ability to create a diverse collection of photos which look like they’ve been taken in different locations. This is particularly beneficial for weddings that run on a tight schedule or don’t have time for multiple photography sites. 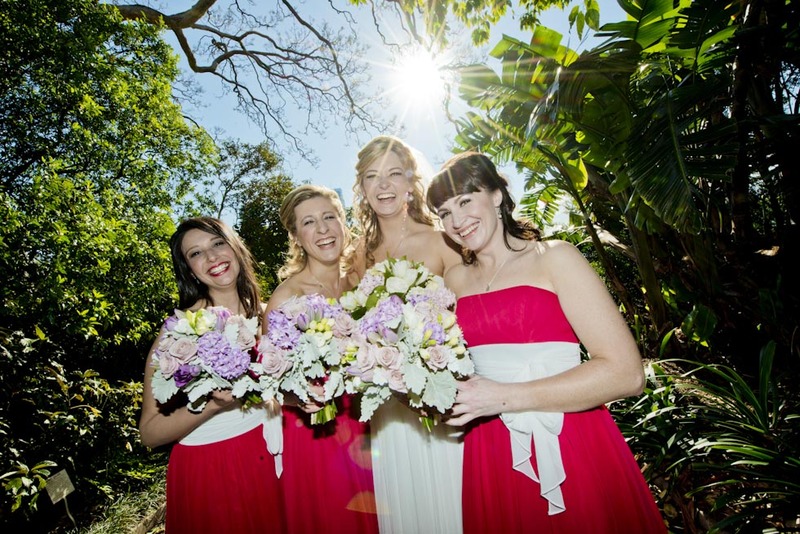 Depending on the location of your ceremony and reception, our photographer will make recommendations on great photographic locations from Sydney CBD to the Northern Beaches, Eastern Suburbs, The Hills District and Western Suburbs. Some favourite locations are collated below and show the variety of styles at our disposal, including a short description from our Principal Photographer about why he loves each location. Keyword search is available on our blog to help you find other great locations around Sydney. 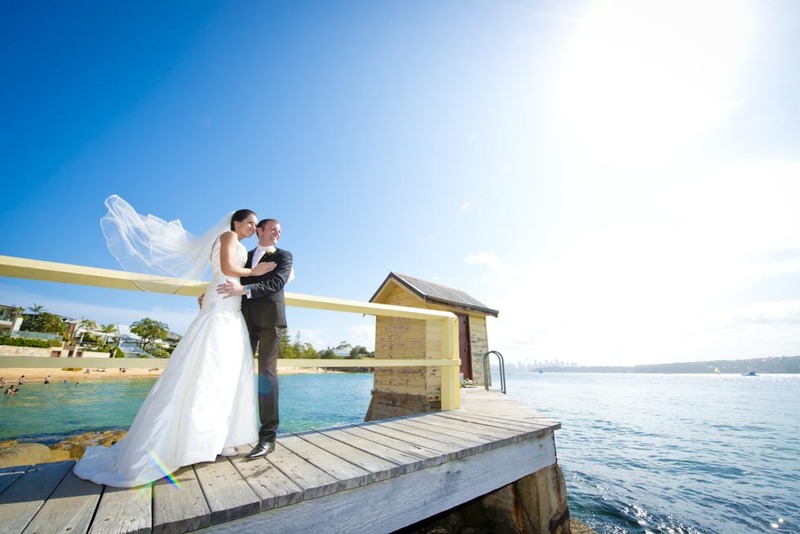 Either choose a wedding location from the drop-down menu or search by key words. Angel Place, just near Ash Street in Sydney CBD, features an installation referred to as ‘Forgotten Songs’. It’s fascinating and it’s visually spectacular. It’s just off Martin Place which is another photo-rich location (see below). The Rocks This is just one of the many, many shots I have taken on Argyle Street. It’s hard to summarise this location in one photo because it’s filled with interesting architecture from historic pubs and houses, to alleyways and secret little corners. If you’re anywhere near The Rocks on your wedding day we’ll probably end up here because there are so many options around this area. 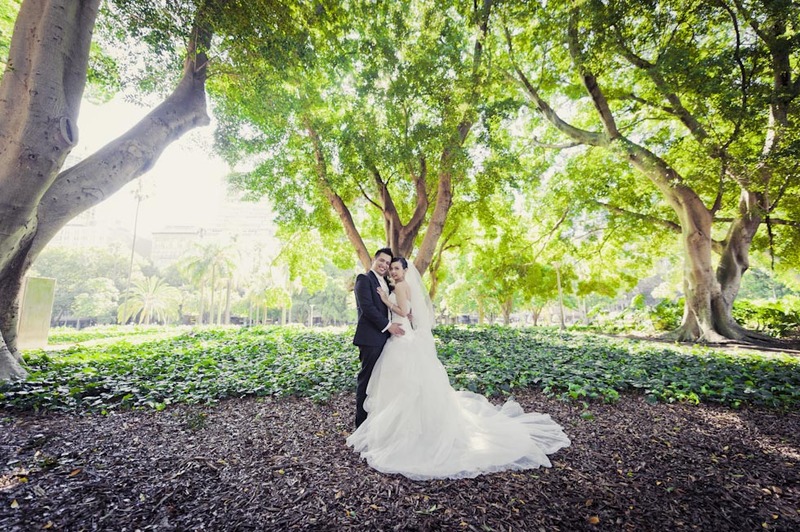 The Royal Botanic Gardens are rich grounds (pardon the pun) for your ceremony and location photos. 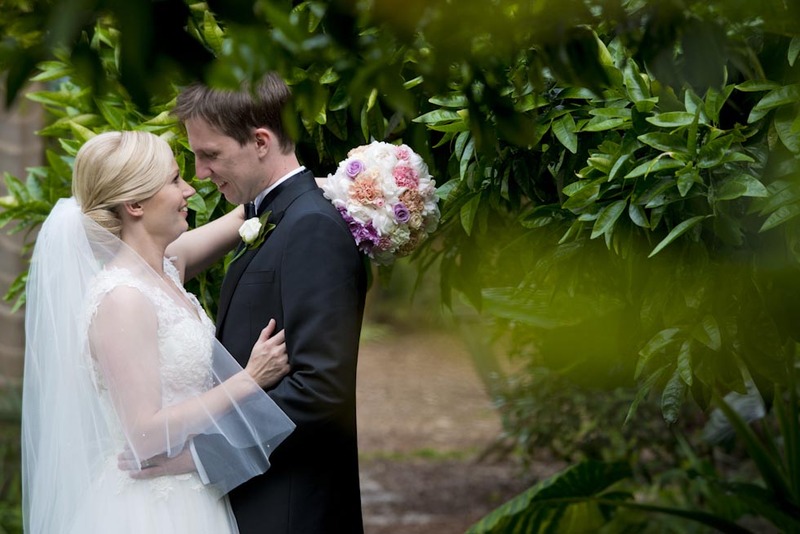 We’ve photographed wedding ceremonies in various parts of this amazing garden, each with its own unique feel whether you’re after expansive lawns, shaded areas, ponds or fountains. Not all photos in Sydney need to be taken on the southern side of the Bridge! I love the view from here with our city’s key icons creating a sensational backdrop. On sunny days the water shimmers and we get a gorgeous blue sky, and on gloomier days when the stormy clouds appear it’s a very dramatic setting. An Eastern Suburbs favourite with plenty of spectacular options all within walking distance (yes, in heels too). 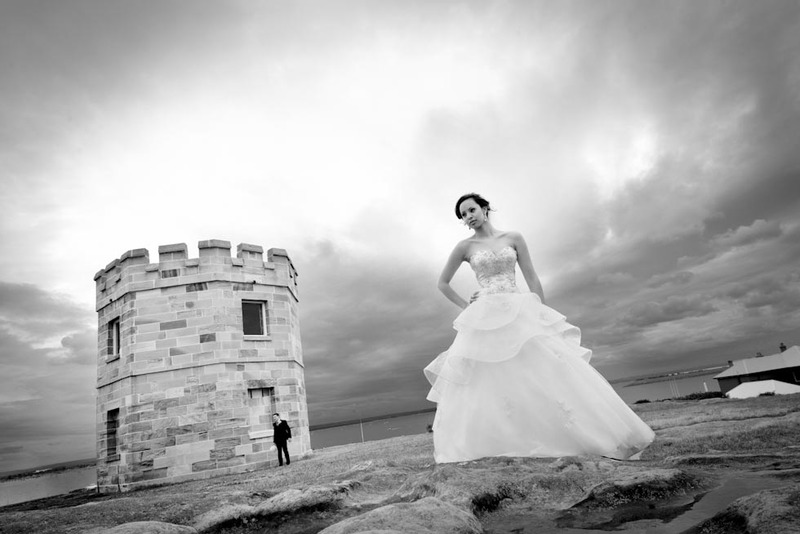 Apart from the obvious beach setting, other favourite shots include the dramatic cliffs, army forts and sweeping views towards Sydney Harbour. Plus, Camp Cove gets last light of the day so there is opportunity for amazing sunset shots. A beautiful rural setting in the foothills of Mt Tomah in the Blue Mountains. One of the best garden settings I’ve seen with a charming chapel, a new function room and onsite accommodation. 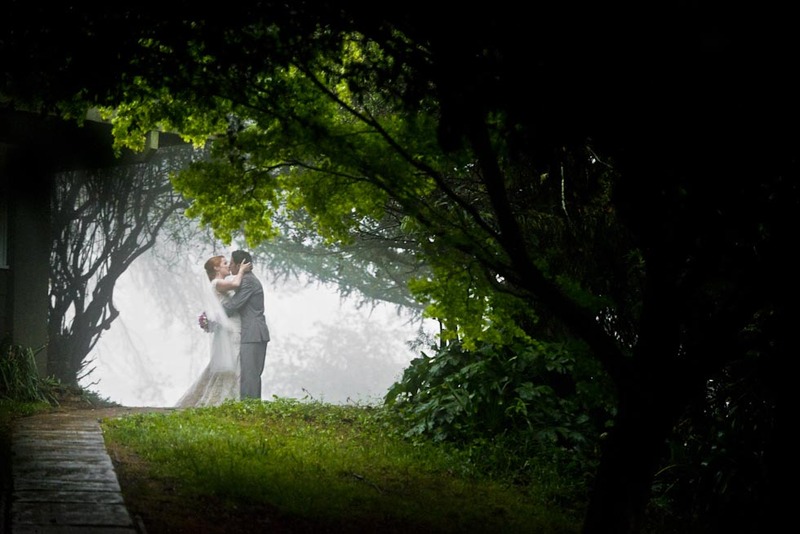 It’s bonus points if we get fog on your wedding day to add even more atmosphere to a location that’s perfect from the get go. All four seasons look fabulous at this location. This is a great wet weather option in Sydney CBD, particularly if your ceremony or reception are around Darling Harbour. It has a clean and modern architectural style. 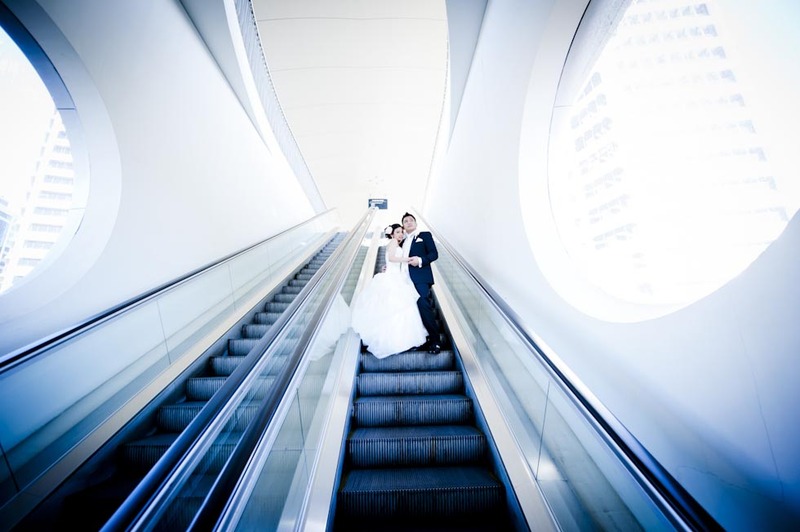 Awesome angles and leading lines – plus you get to relax and ride the escalator for a few minutes. 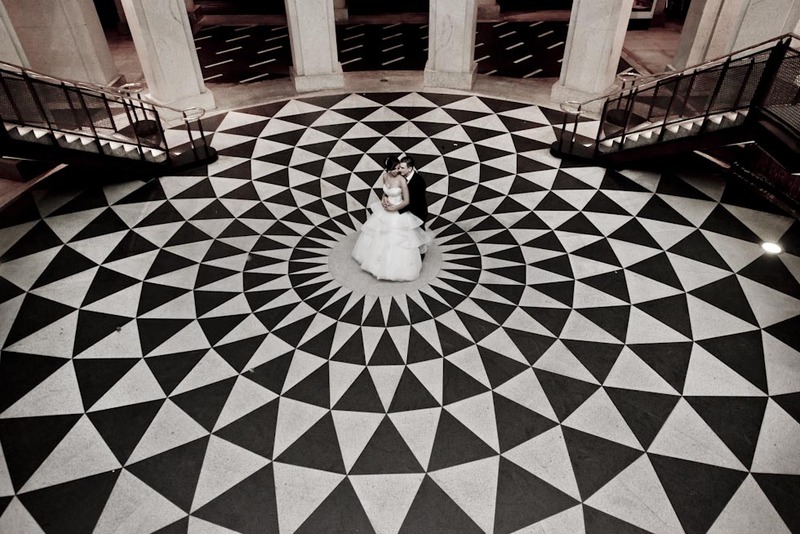 Standing in the centre of that chequered floor, the bride and groom have a totally different perspective on how the photo will look so there is always a little gasp of amazement when they finally see it. As a bonus, this wedding location is great in wet weather. This is the oldest public parkland in Australia and with over 16 hectares of gorgeous vegetation, alleyways and decorative street lamps your photos are guaranteed to turn out superb. Plus, even on a busy day there is always somewhere to hide away from the crowds so you don’t get passers-by in the background. A unique and spectacular place that’s totally underutilised by brides and grooms who normally stick to more central locations. This place is extra dramatic on rainy days when the clouds come out and help create that menacing background. A perfect location for a little fun. 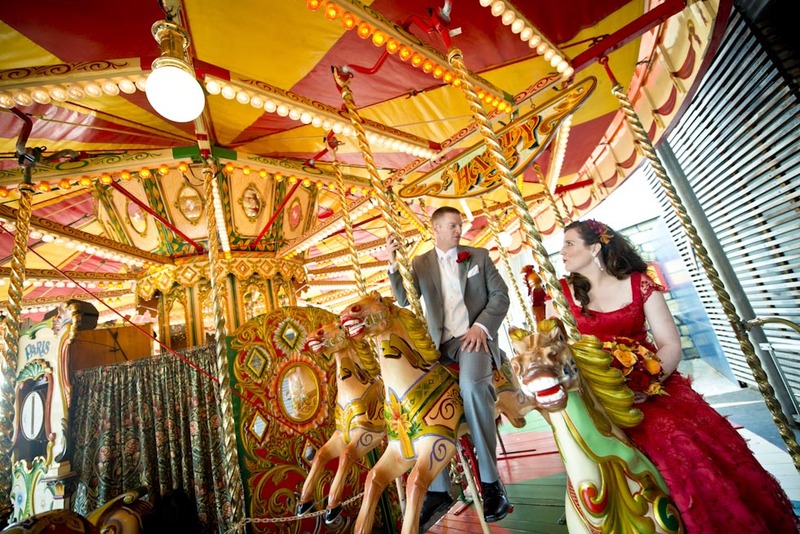 There is loads to see and do for a little afternoon fun after your ceremony, plus you can hold your reception here as well. The images will be less traditional if that’s what you’re looking for, as was the case for our bride who wore a red wedding dress. A super rich location for photos and a great option for wet weather. It’s well worth coming here for the giant columns, long spectacular alleyway of the GPO, decorative features, textures and fancy doorways to use as backdrops. It’s great for night photos, especially after it has rained because the reflections in the wet floor add a magical touch. A mid-north shore favourite, it’s one of the best rockpools in Sydney. I’m a fan of the rock shelf area which is great for reflections and splashing wave backdrops, and it’s hard to pass on the striking cliff line. It’s also easy to access by wedding cars and get around once you’ve arrived. Observatory Hill is a Sydney staple. Another iconic location that’s central and surrounded by other iconic locations. 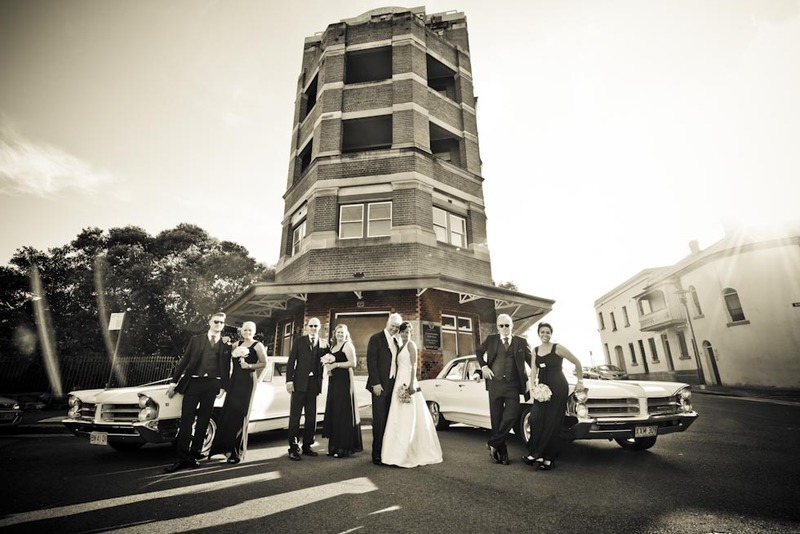 You can also have your wedding ceremony right there on the hilltop overlooking Sydney Harbour and the Bridge. 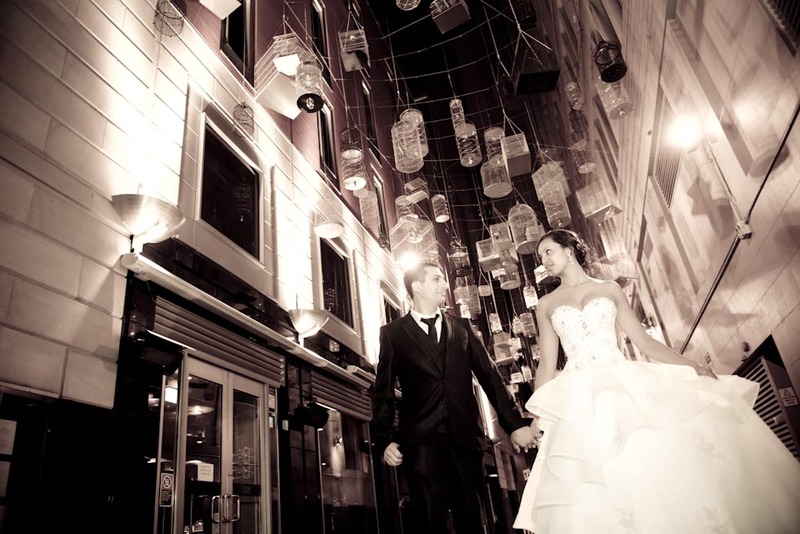 Then it’s a quick dash to a huge variety of wedding venues around The Rocks. The Old King’s School in Parramatta has fabulous architecture and feels a little like we’ve travelled back in time. 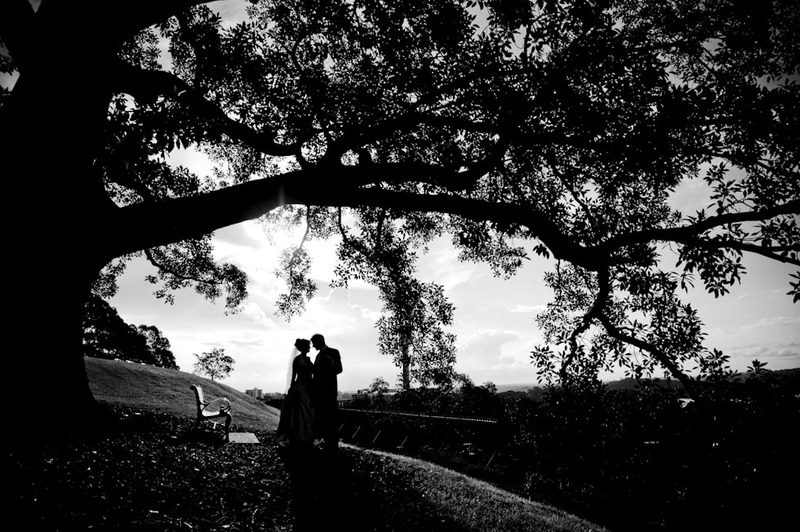 We use this location for weddings held in areas such as The Hills or Western Sydney. Palm Beach will not disappoint if you’re having a beach-side wedding. I particularly love this location in the late afternoon with a colourful sky and long shadows, plus we’re always guaranteed a breeze for a little extra movement of the hair and veil which brings photos to life. 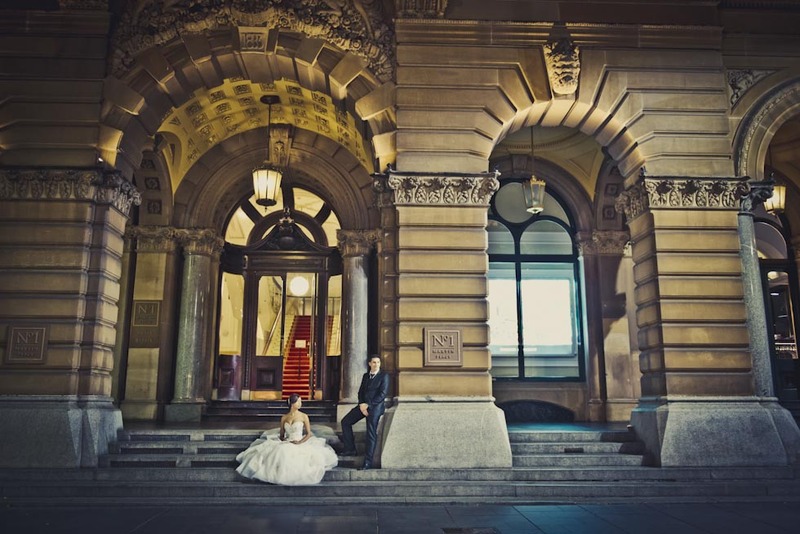 Another great wedding location outside the Sydney CBD. You can have your ceremony and reception here, as well as your location photos. 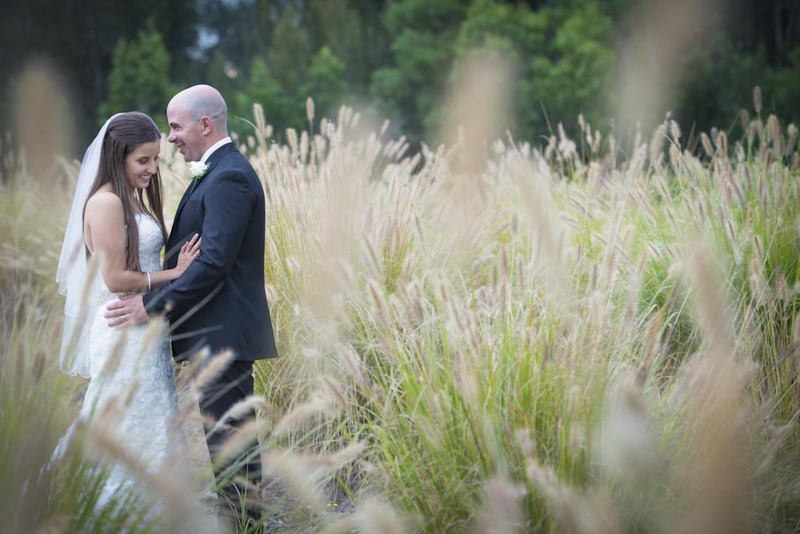 It boasts long grass and manicured lawns, as well as the opportunity to pop out when the sun is setting to take a few more stunning shots just a few steps outside the reception hall. A truly unique location. 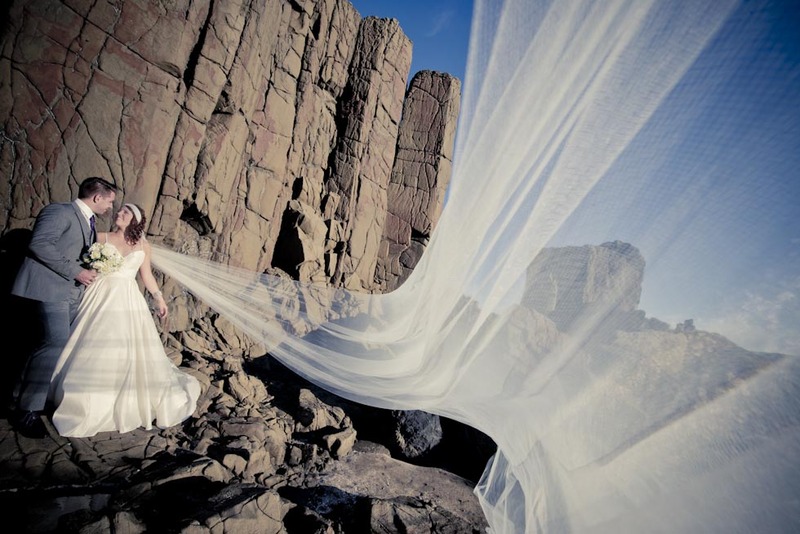 I love the juxtaposition of a delicate wedding dress against the harsh terrain. 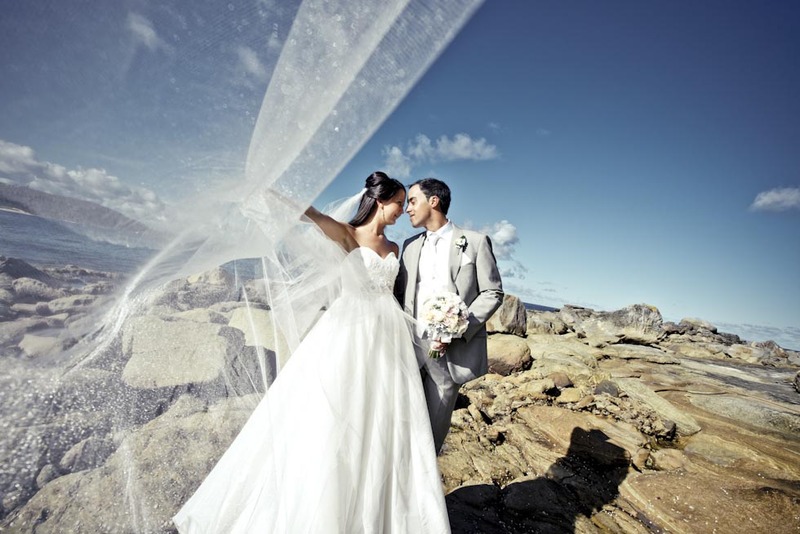 Add a bright blue sky and a long veil and we have a striking wedding photo. 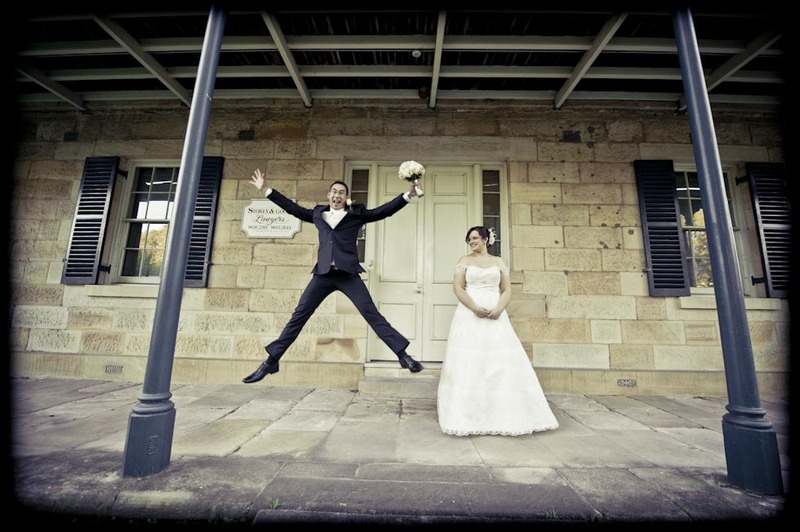 At the risk of spoiling a good secret, Wendy’s Secret Garden is a quaint little place where I take couples who are getting married around North Sydney. It’s tucked away safely, giving you a little time out after the ceremony and before the party really hits at the reception. Plenty of leafage guarantees great photos.